Calexa Rose Dunhill was just fourteen when she woke in a cemetery. Bruised, bloody and left for dead, with no memory of her previous life, she took a new name from the headstones that surrounded her. Now, three years on, Calexa still lives in Dunhill Cemetery, struggling with the desire to know her true identity - and the all-consuming fear of what she might discover when she does. Then, when she witnesses a gang of teenagers staging a stunt that goes horribly, fatally wrong, Calexa Rose Dunhill discovers she has a unique ability. One she cannot control . . .
Charlaine Harris writes the No. 1 Sunday Times and internationally bestselling paranormal fantasy series featuring Sookie Stackhouse (the basis for the HBO series True Blood), amongst others. She lives in Texas. Christopher Golden is the award-winning, bestselling author of such novels as Snowblind, Tin Men, Wildwood Road, The Boys Are Back in Town, The Ferryman, Strangewood, and Of Saints and Shadows. He has also written books for teens and young adults. His novel with Mike Mignola, Baltimore, or, The Steadfast Tin Soldier and the Vampire was the launching pad for the cult favorite graphic novel series from Dark Horse Comics. Golden is also known for his many media tie-in works, including novels, comics, and video games, in the worlds of Buffy the Vampire Slayer, Hellboy, Sons of Anarchy, and X-Men, among others. Golden was born and raised in Massachusetts, where he still lives with his family. 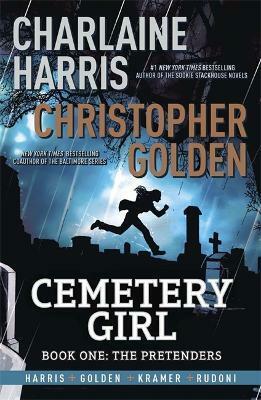 His graphic novel series Cemetery Girl, written in collaboration with Charlaine Harris, is published by Jo Fletcher Books. You can visit him at www.christophergolden.com.